From now on those Ucom subscribers who have downloaded and actively use the homonymous application have a possibility to recharge their accounts directly via U!Pay electronic wallet. 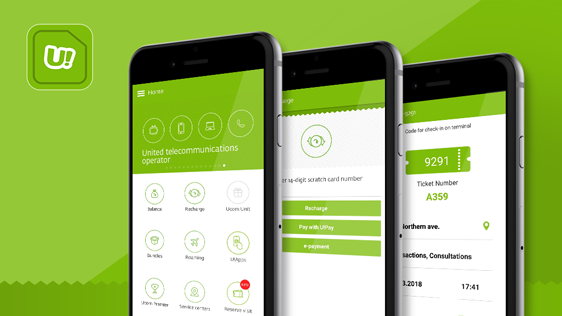 Moreover, the app allows one to plan a visit to Ucom service center and line up in an online queue by saving time and avoiding real life queues. The possibility of preliminary registration is currently applicable to 5 service centers located at Northern Avenue ½, Komitas avenue 30, Bagratunyats 16, Raffi 39/4, Gai Avenue 17/3 addresses. «As a customer-centric company Ucom constantly strives to improve the quality of the existing services and add new features and possibilities. Online payment possibility enables you to pay for the utilized mobile services at any time, wherever you are. While the possibility of online queueing is a great tool for all our existing and future customers who attach great importance to their own time management», said Hayk Yesayan, Director General at Ucom. There is a number of other amendments made the app, bugs are fixed. It can be downloaded from the App Store via goo.gl/isSVpa and Google Play via goo.gl/qU92vA links.